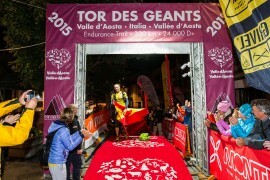 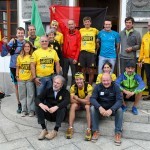 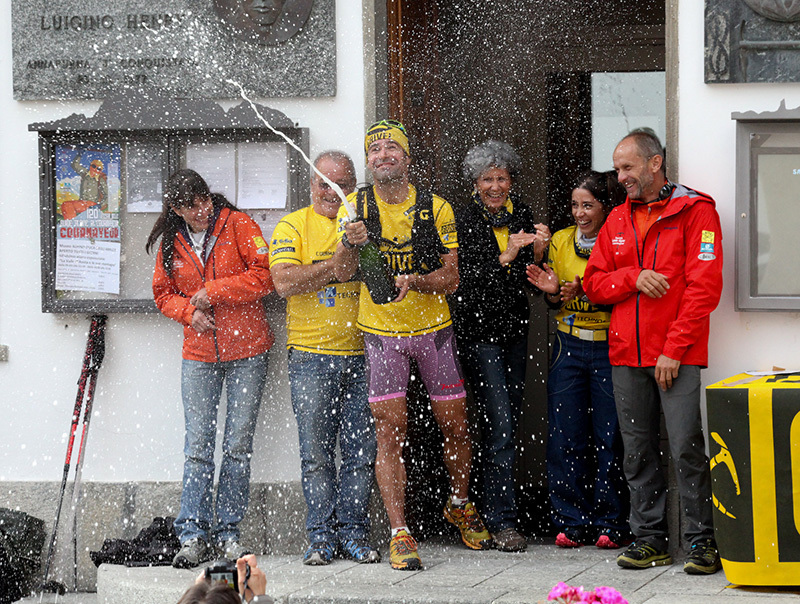 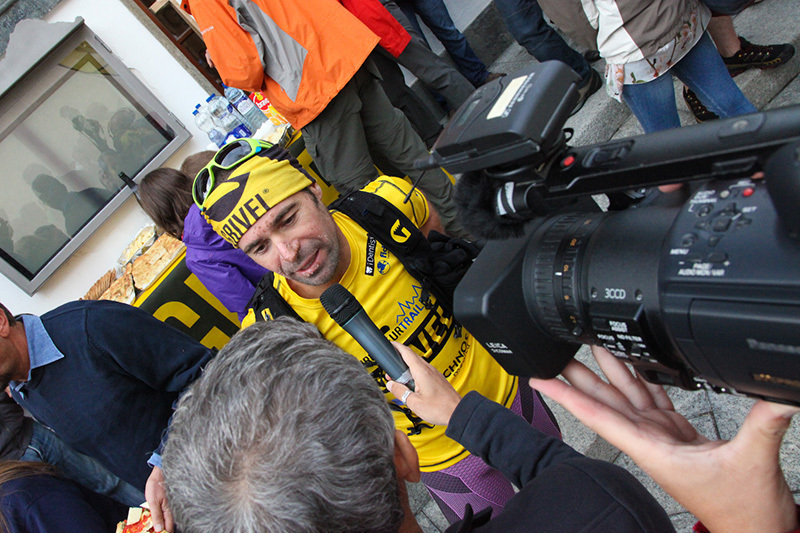 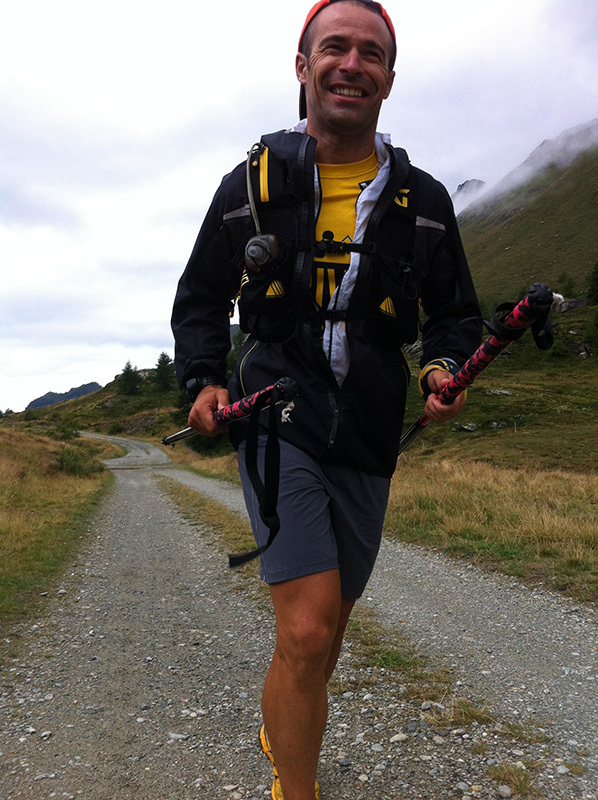 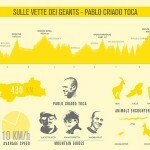 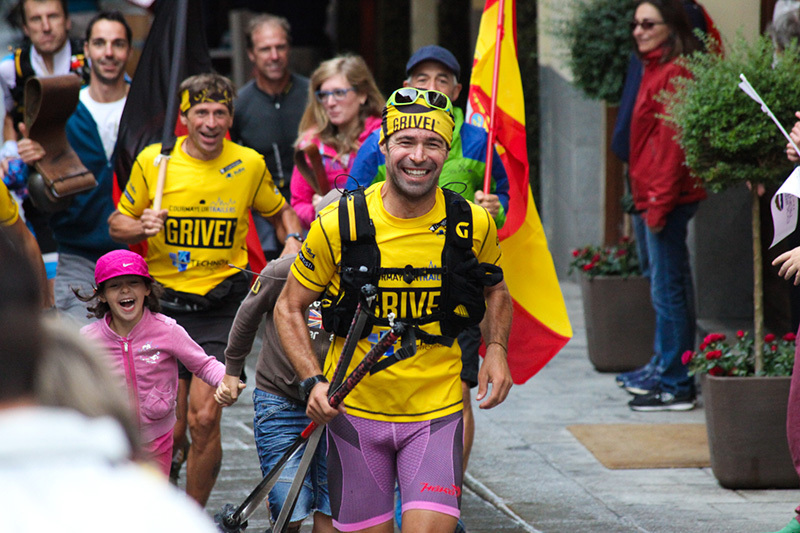 Pablo Criado Toca set off on 9 August from Courmayeur and on 18 August he returned to the small Italian town after having climbed four 4000ers, enchaining the Valle D’Aosta giants on foot, walking or running, for 440km. 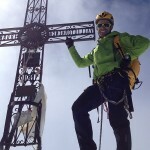 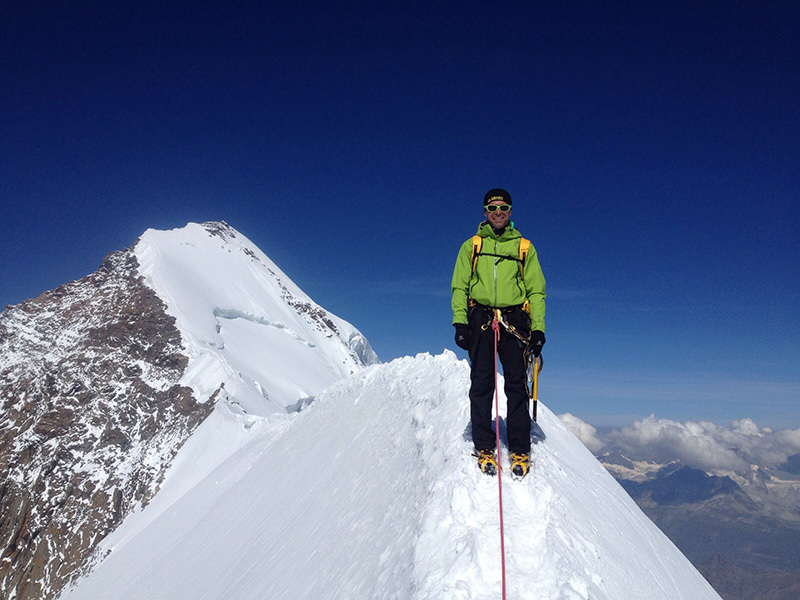 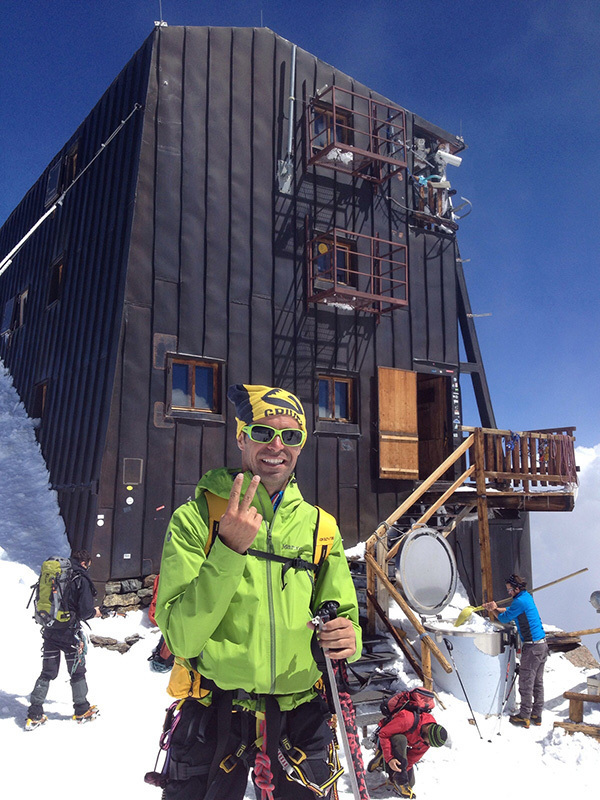 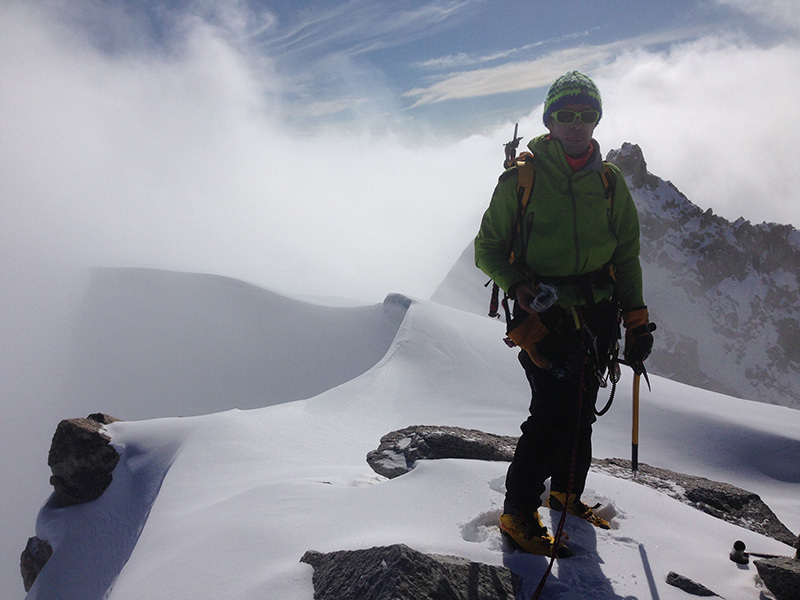 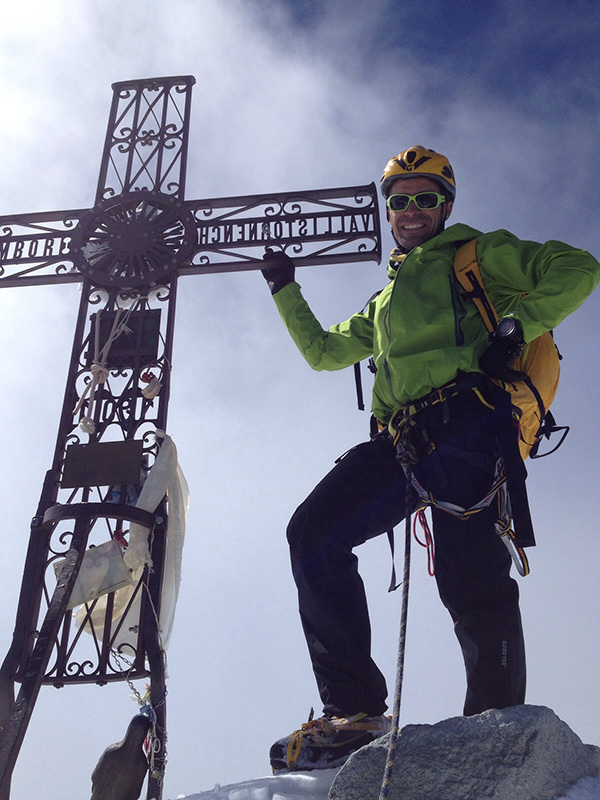 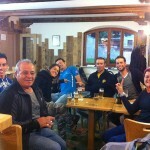 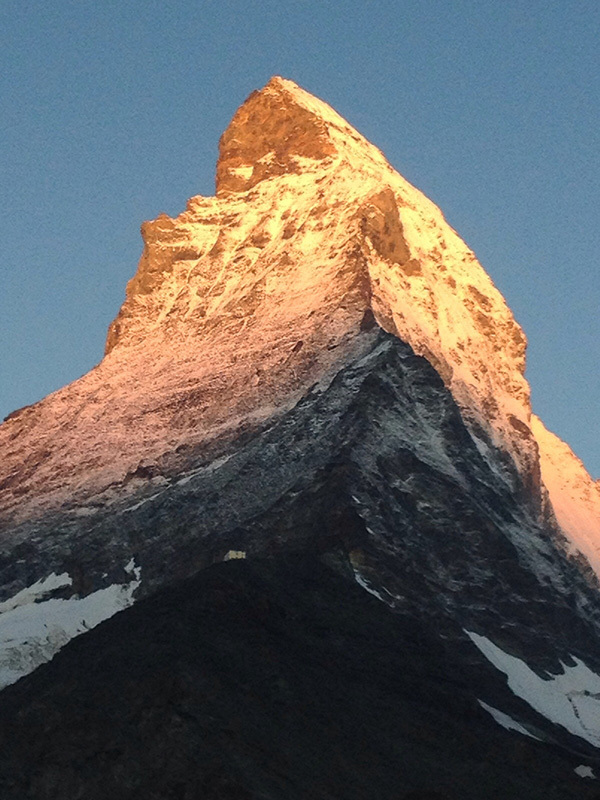 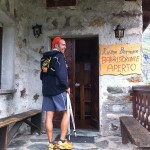 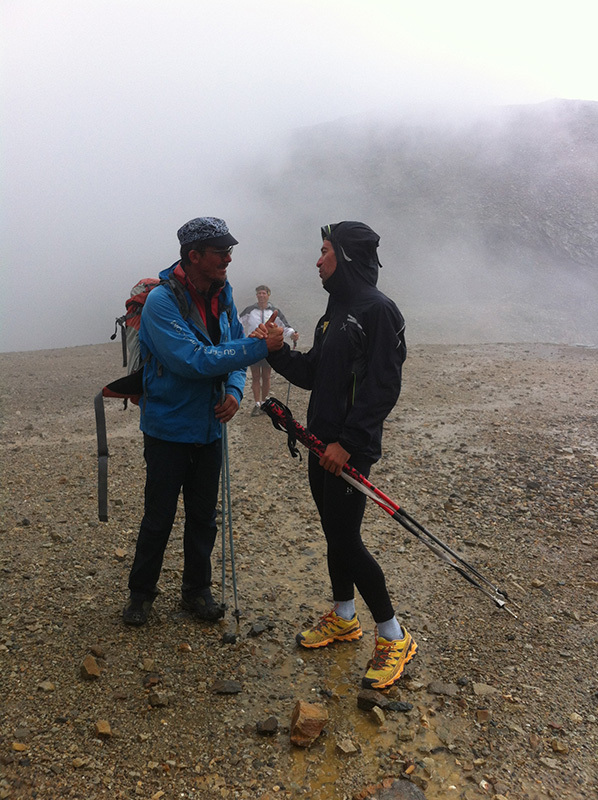 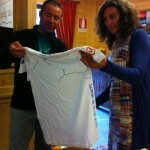 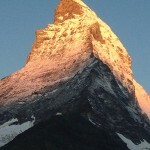 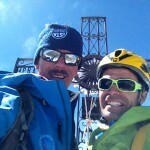 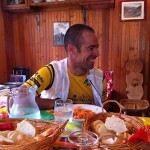 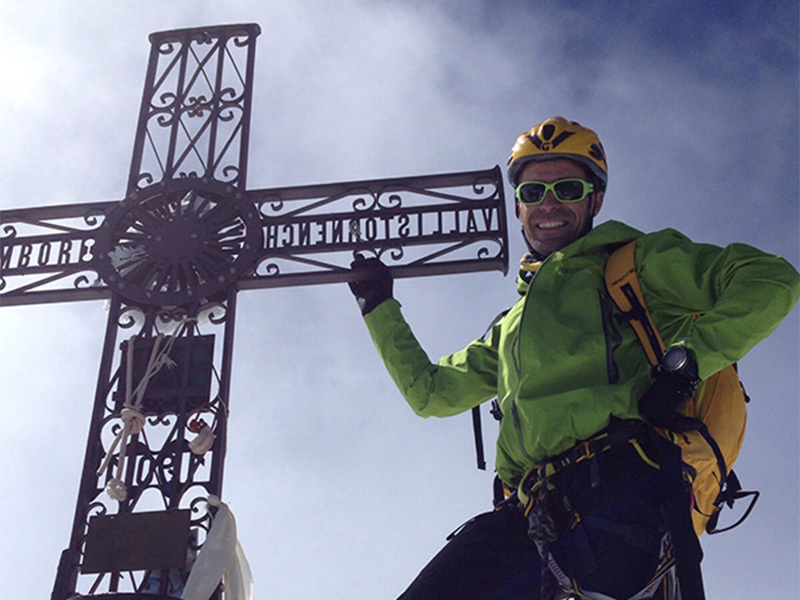 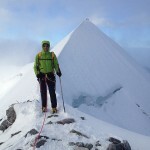 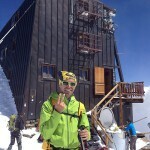 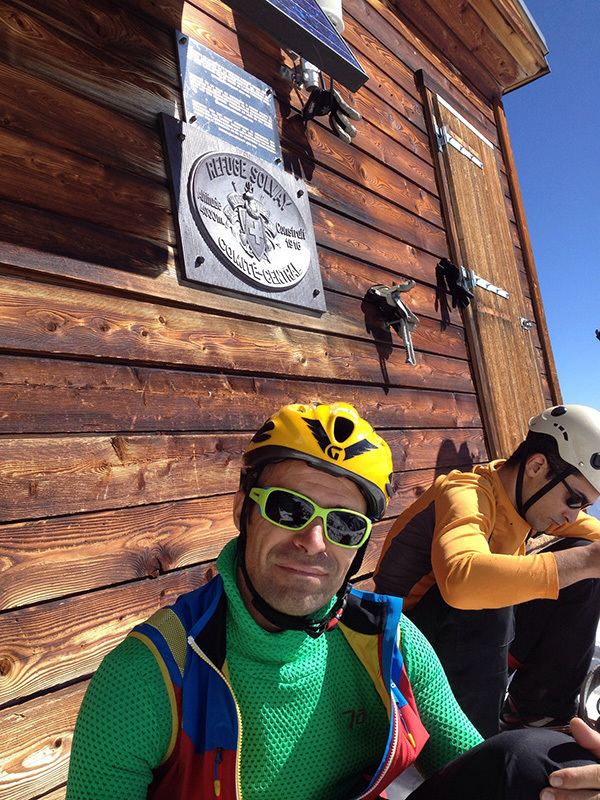 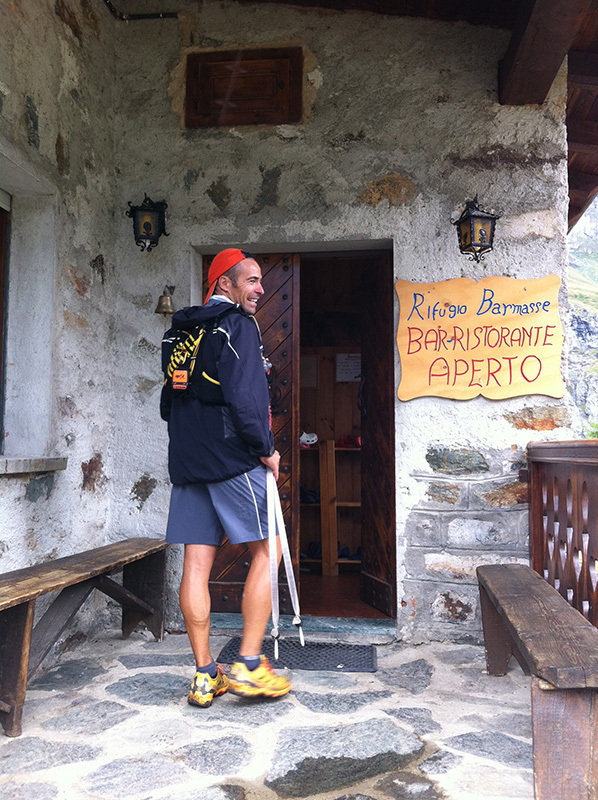 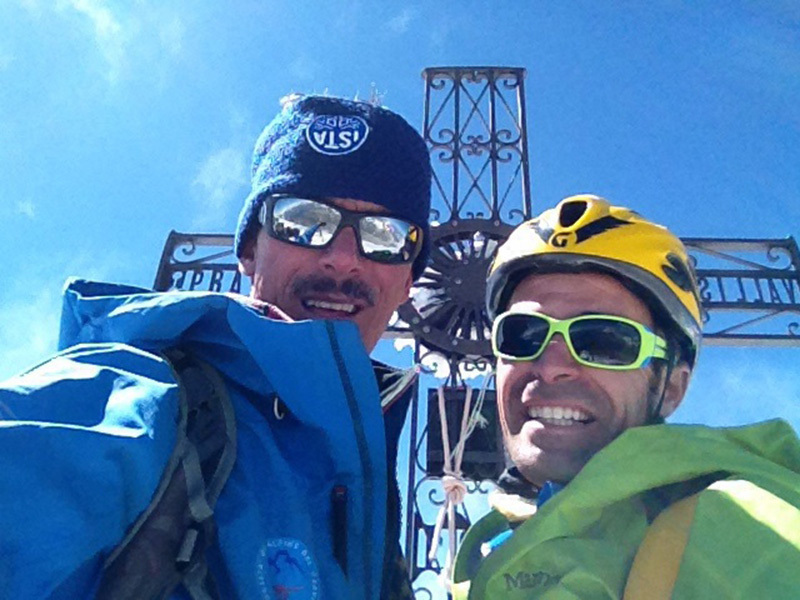 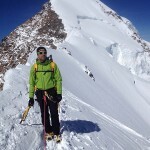 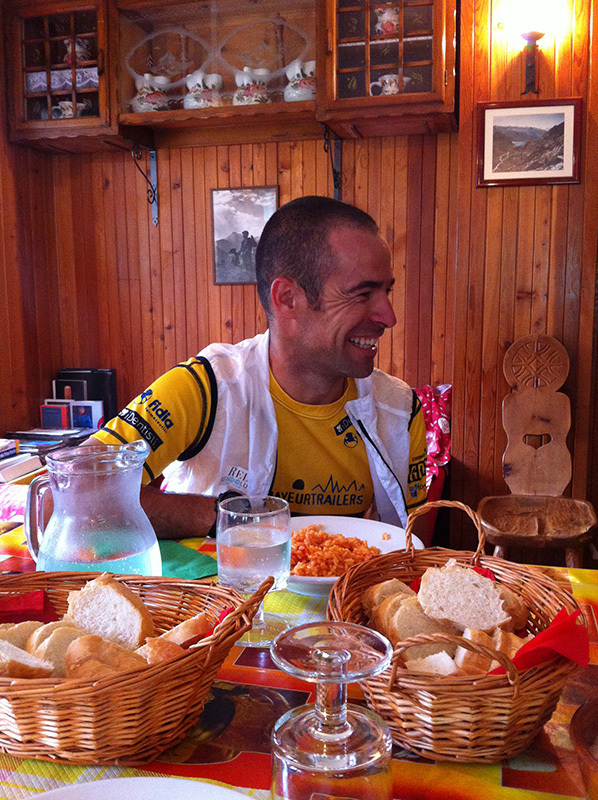 Monday, 10 August: from Oyace via Cervinia to Rifugio Teodulo where he met Lucio Trucco, Cervino Mountain Guide. 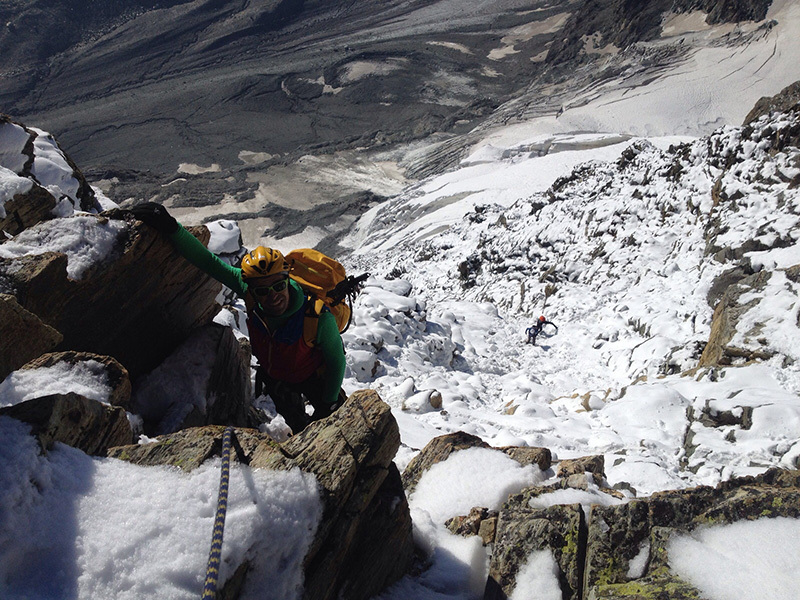 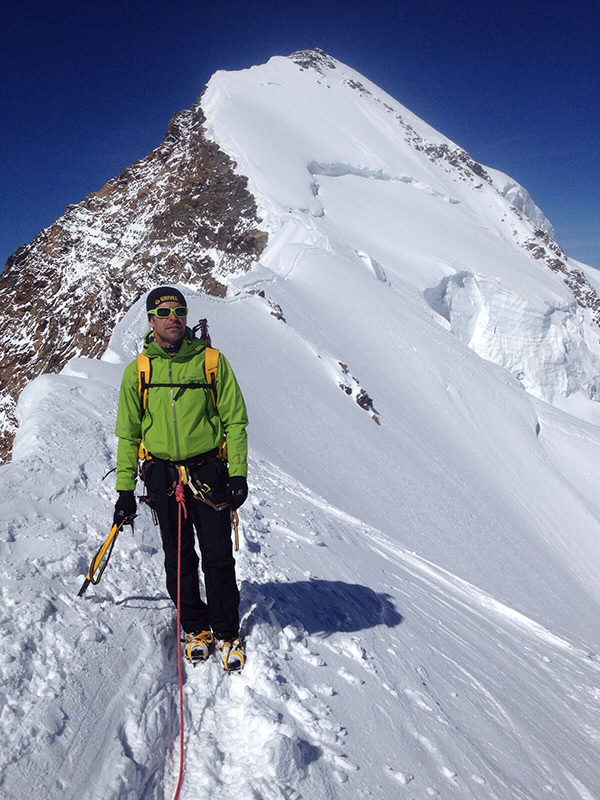 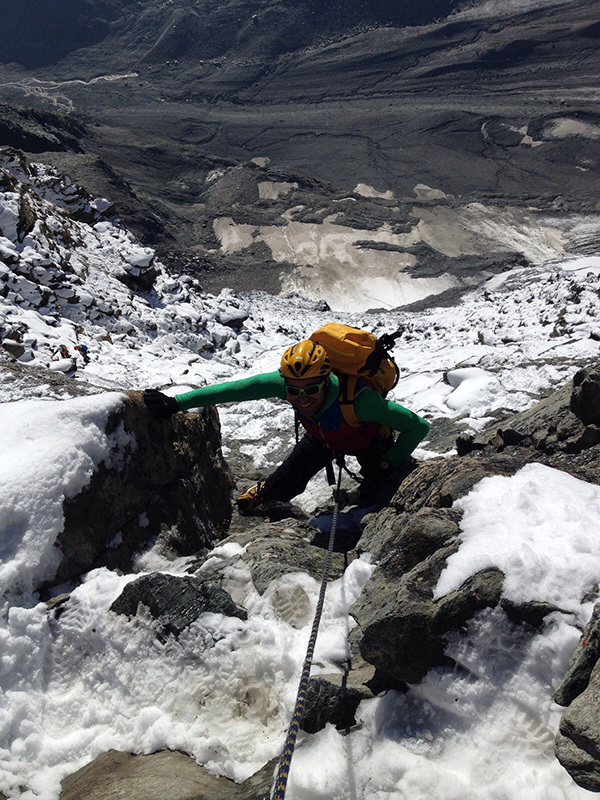 Wednesday, 12 August: long traverse with Trucco along (Castor – Lyskamm – Capanna Margherita) to the summit of Monte Rosa, descent to Staffal where Toca spent the night at Hotel de Gletscher. 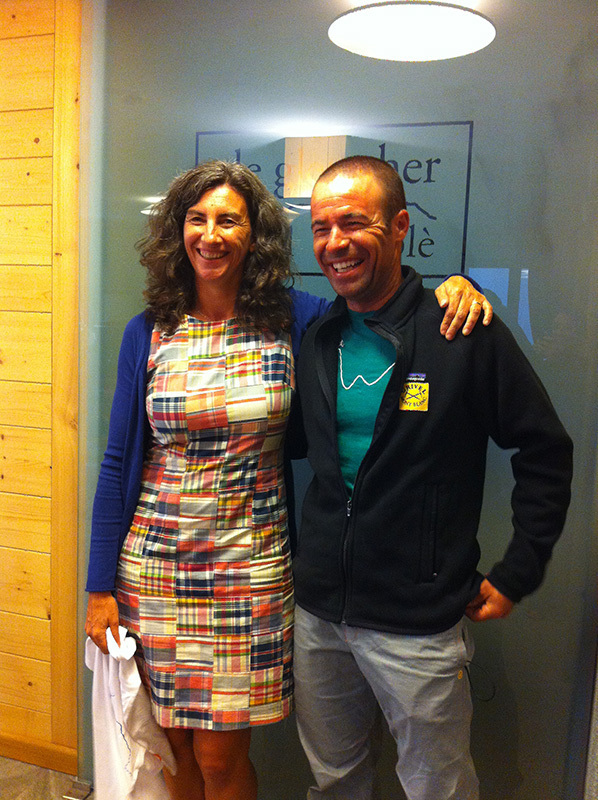 Saturday, 15 August: due to bad weather Toca was forced to revise his plans and made his way to Rifugio Chabod in Valsavarenche where he met Anna Torretta, Courmayeur Mountain Guide. 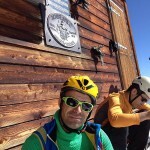 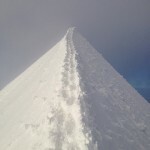 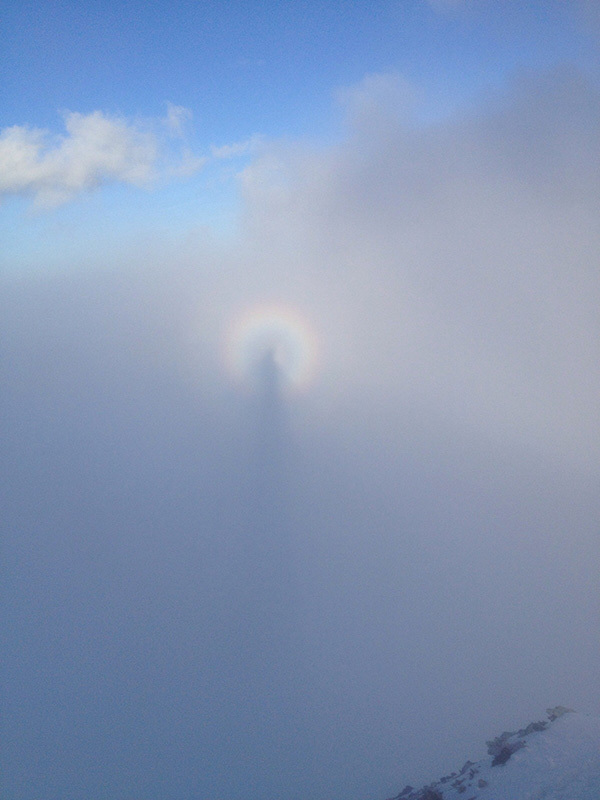 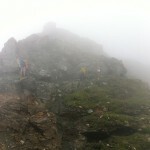 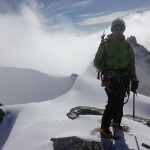 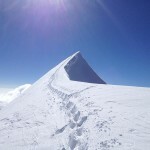 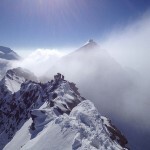 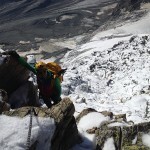 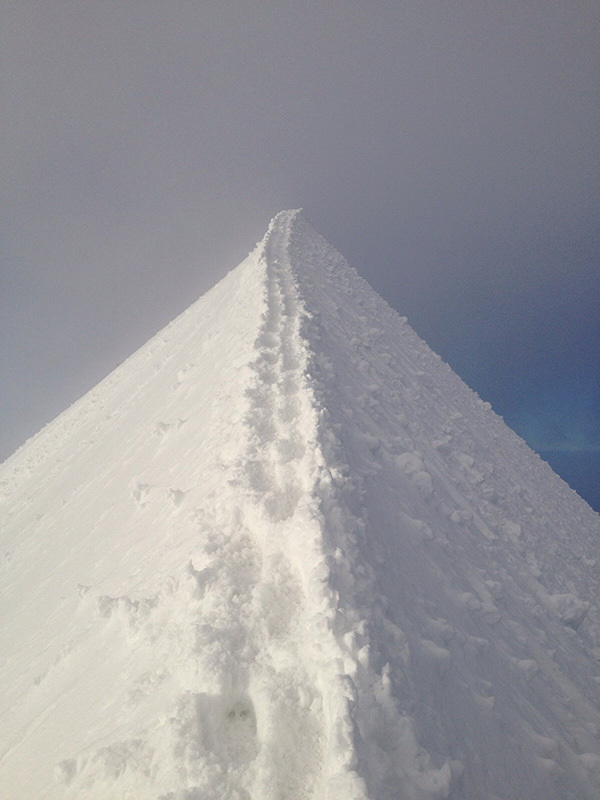 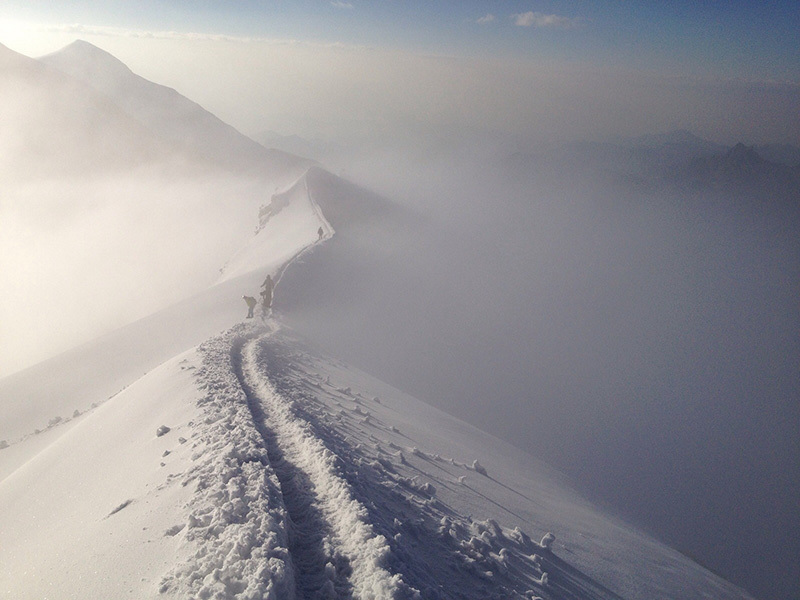 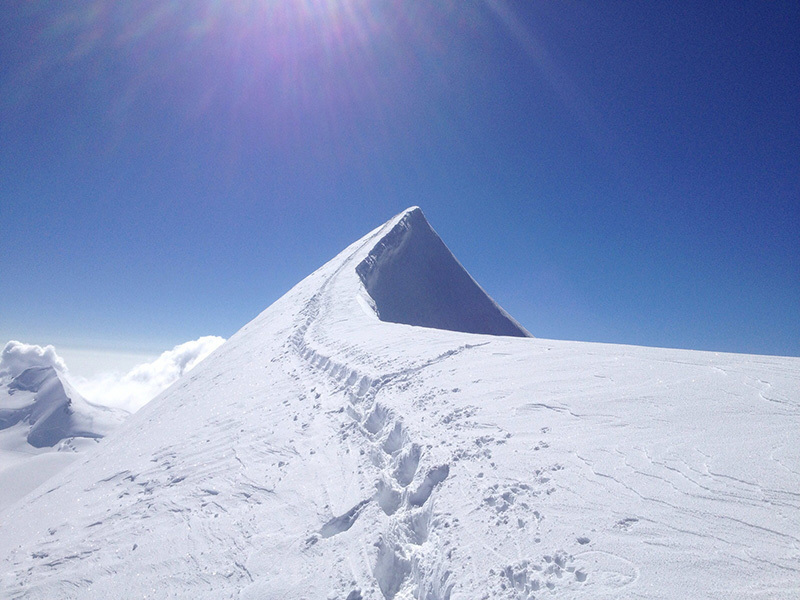 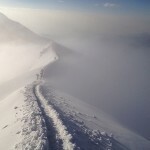 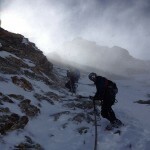 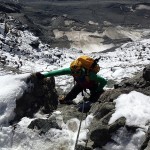 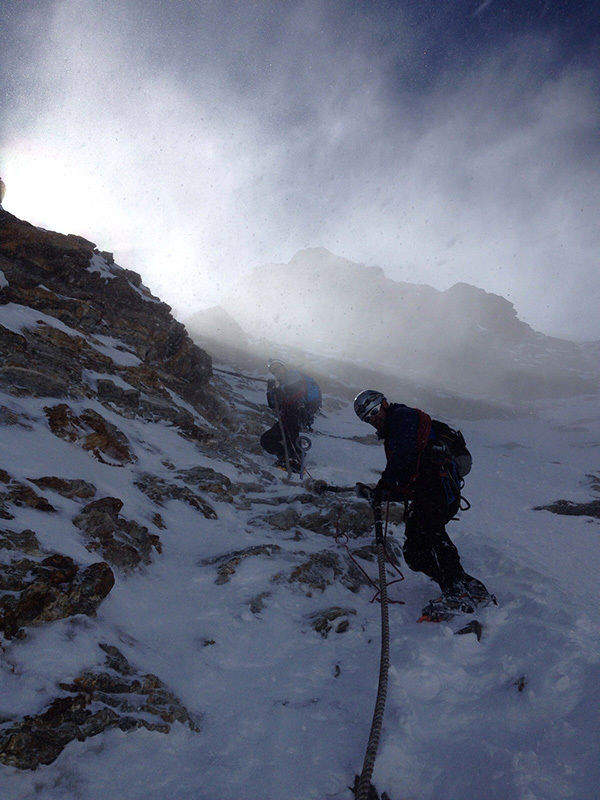 Sunday, 16 August: Despite bad weather, from the Chabod hut he climbed to the summit of Gran Paradiso via the Schiena dell’asino, beating trail in 60cm of fresh snow to then start the long descent. 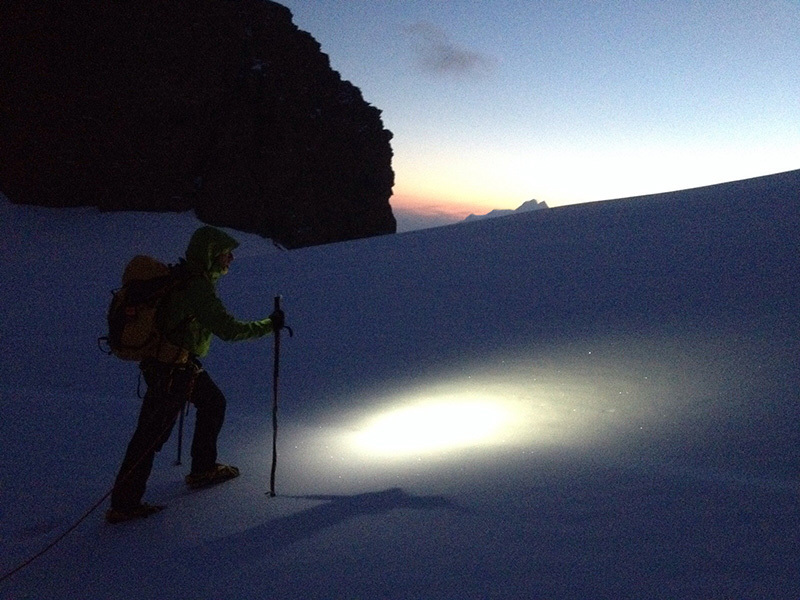 Valgrisenche was reached around midnight. 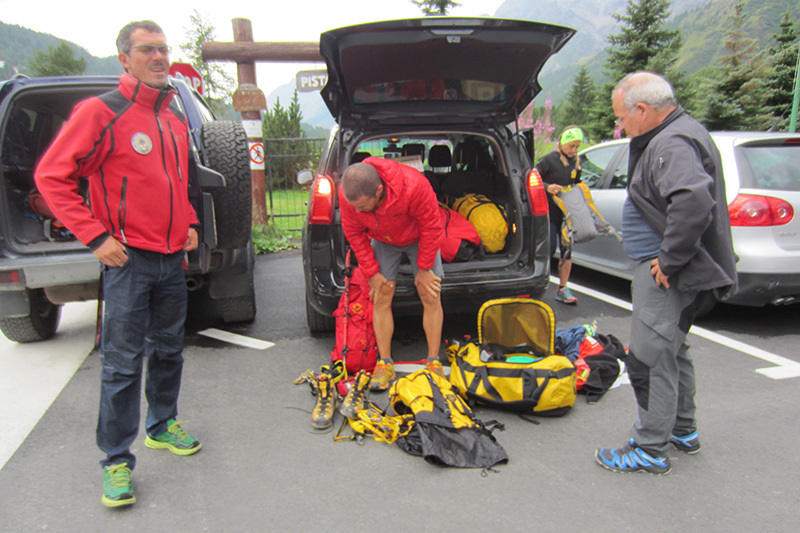 Monday, 17 August: setting off at at 5am he reached Courmayeur at around 16.30. 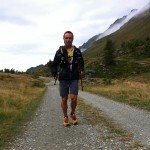 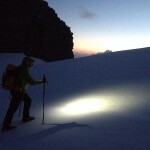 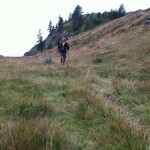 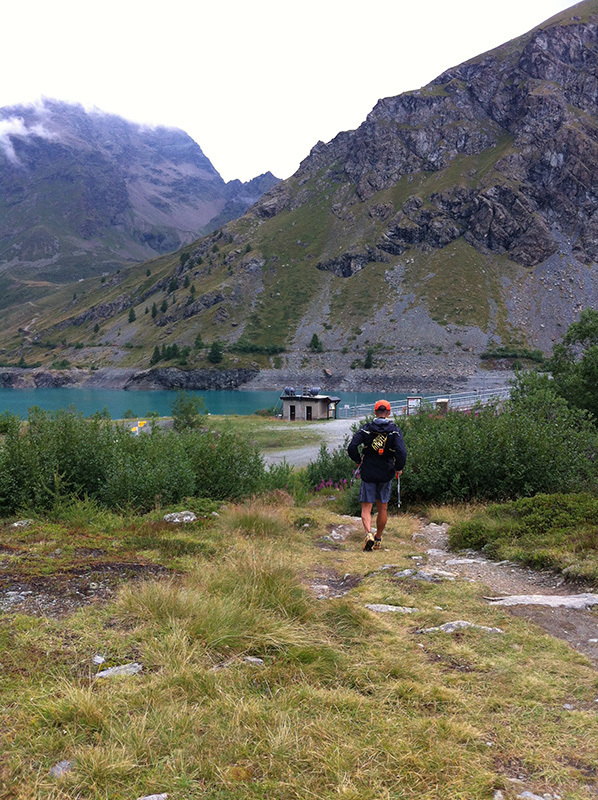 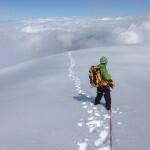 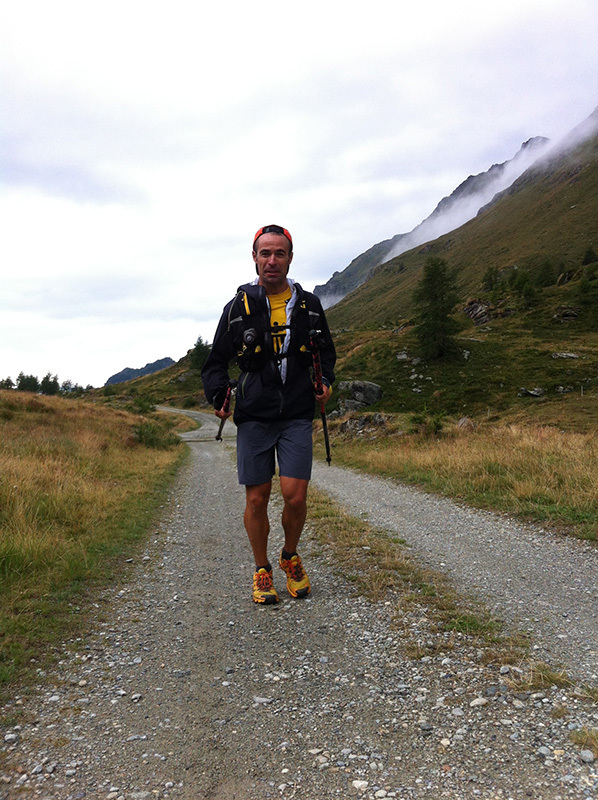 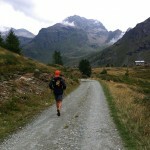 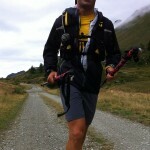 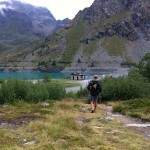 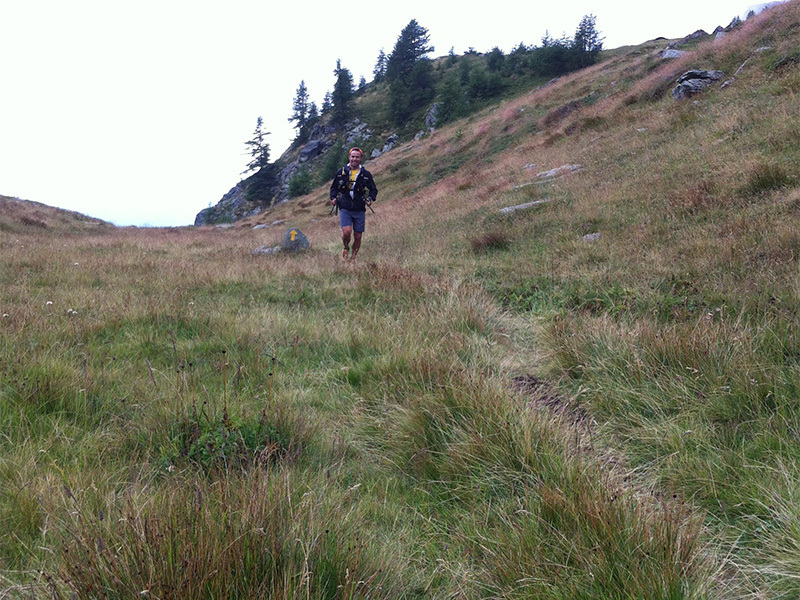 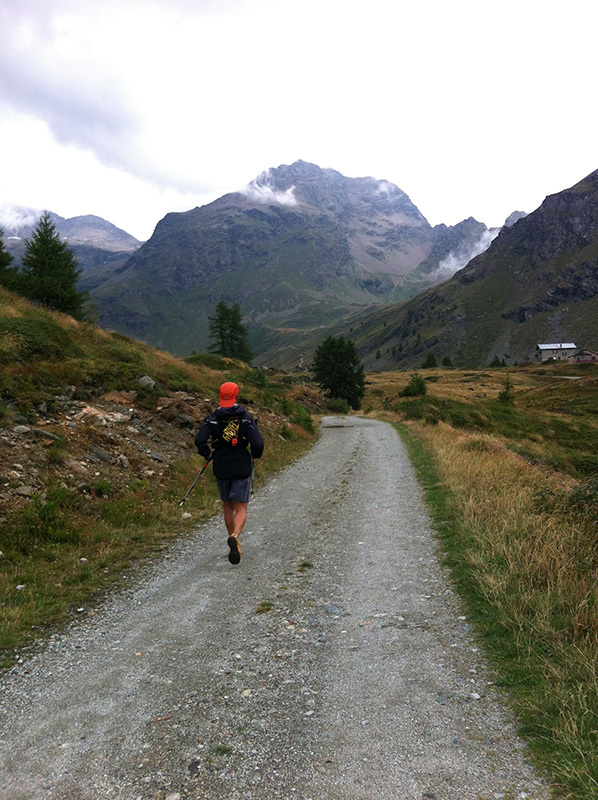 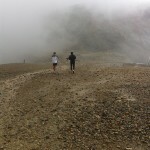 After a brief rest he continued on towards Mont Blanc, accompanied by Courmayeur Mountain Guide Andrea Plat. 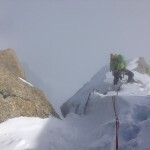 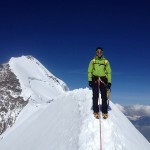 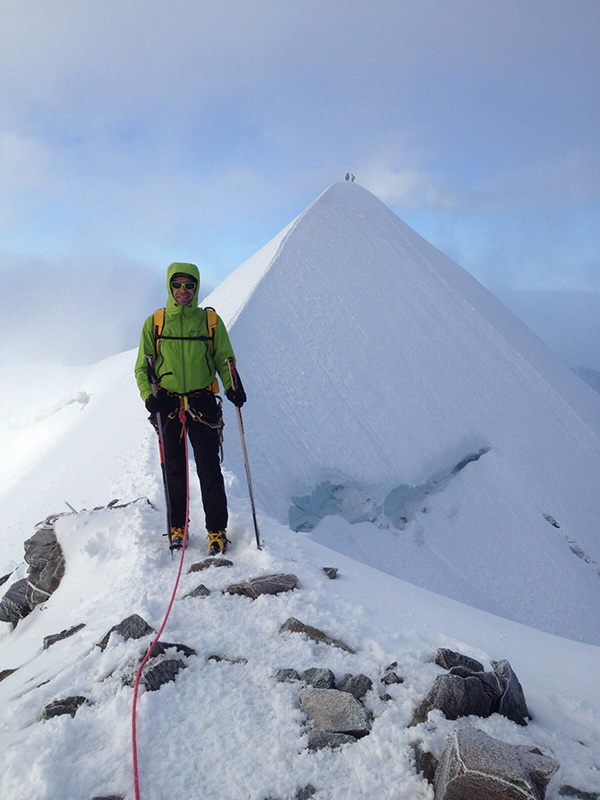 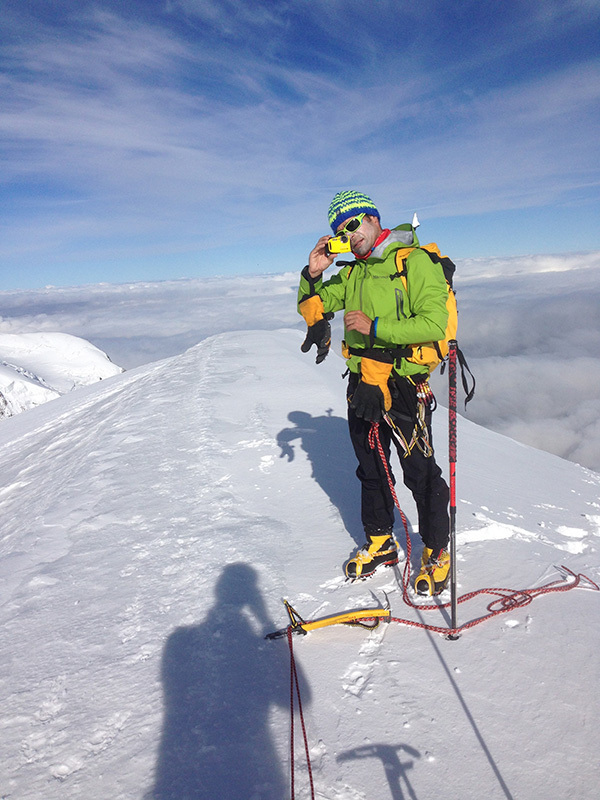 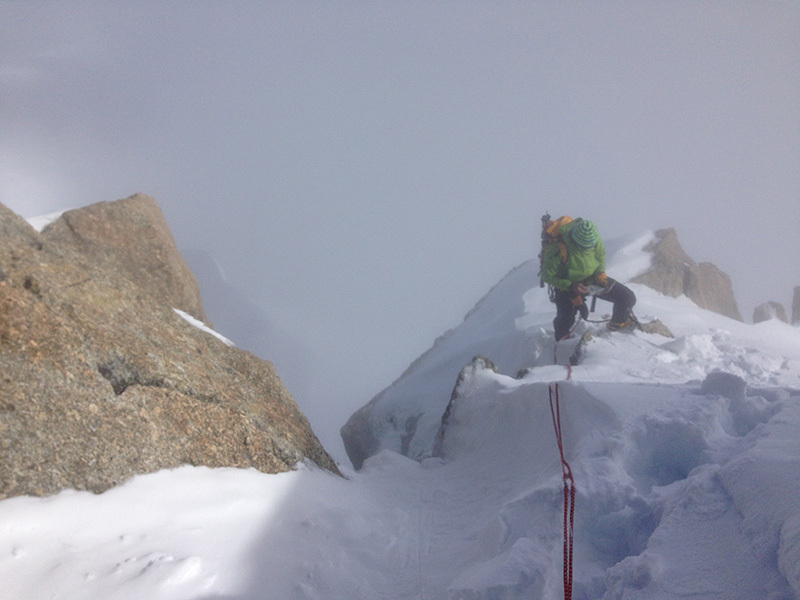 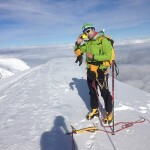 Tuesday 18 August: the two mountaineers climbed the Mont Blanc du Tacul, completely alone due to the prohibitive snow and weather conditions. 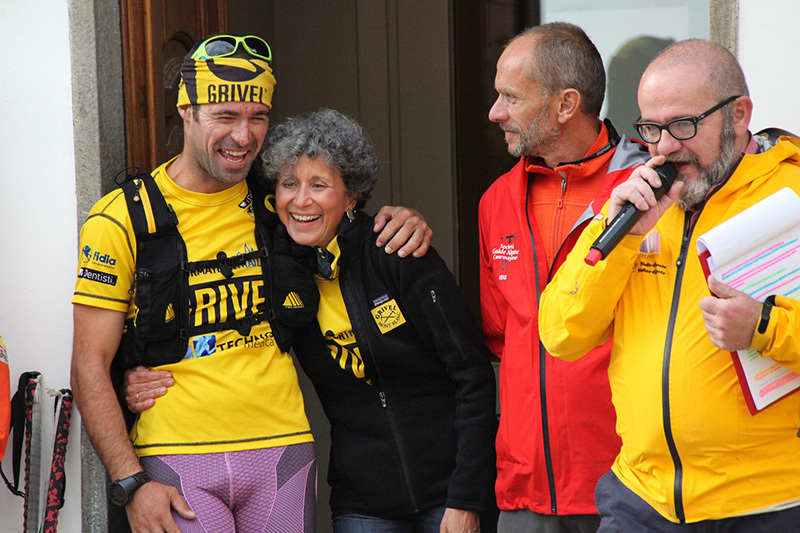 They descended the Cosmique and finally returned home where was welcomed by his fans, friends and all those who believed in this project. 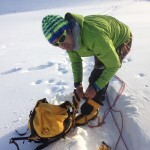 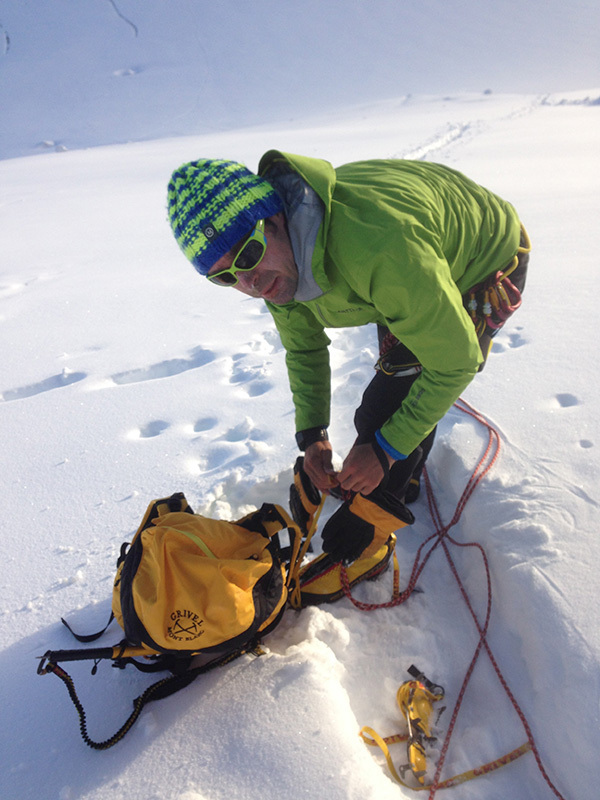 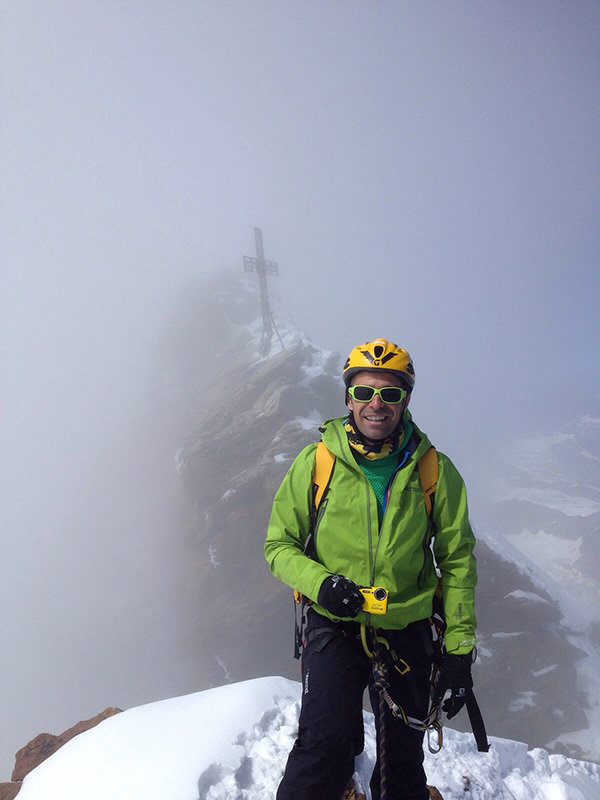 Pablo explained: “This project has been my dream for a long time, I fell in love with Valle d’Aosta during my numerous Tor des Geants… But those giants who guard the Tor kept beckoning me and I wanted to experience the emotions of climbing even higher to see the world and the Val d’Aosta from the higher perspective! 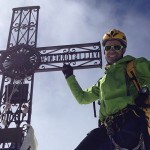 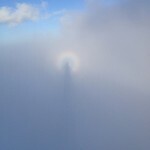 And in order to make this dream come true I wanted to provide a very clear message about mountain safety. 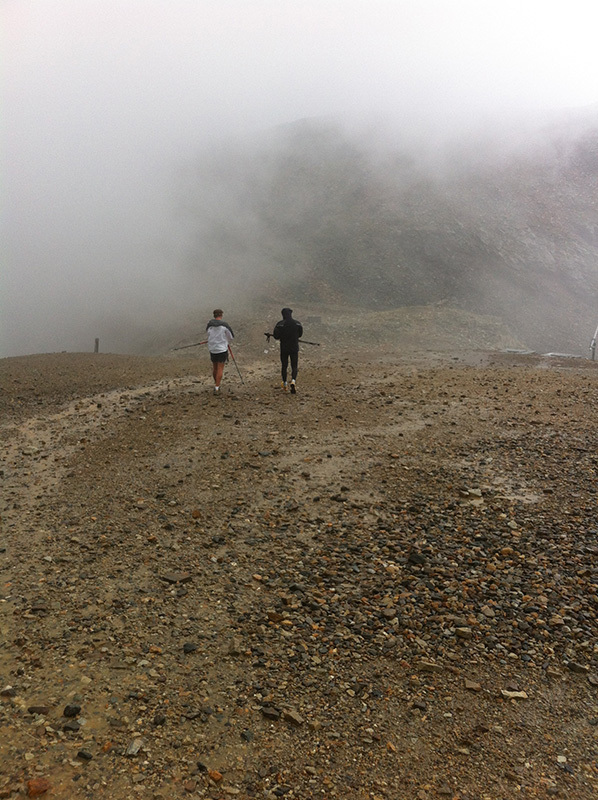 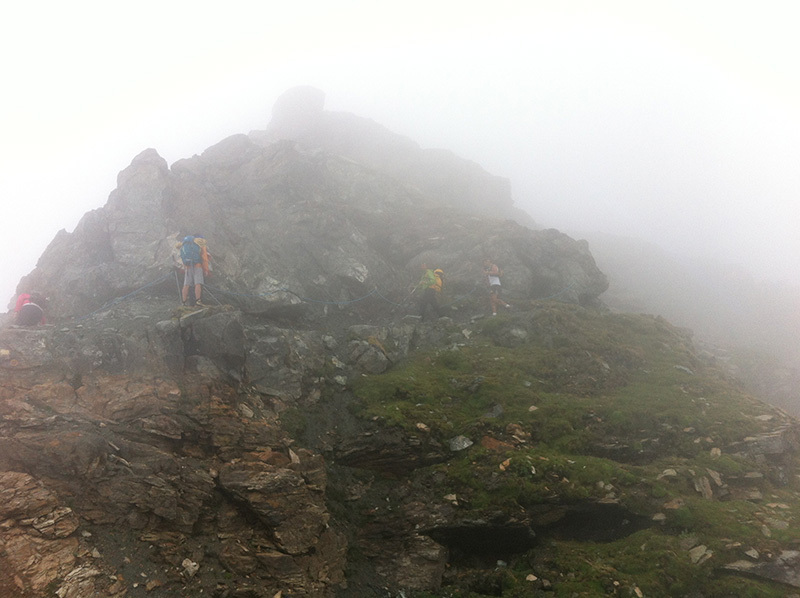 Mountain running… trail running is all the rage … running is great fun, but when you climb at certain altitudes then you need to rely on those who have made the mountains their livelihood. 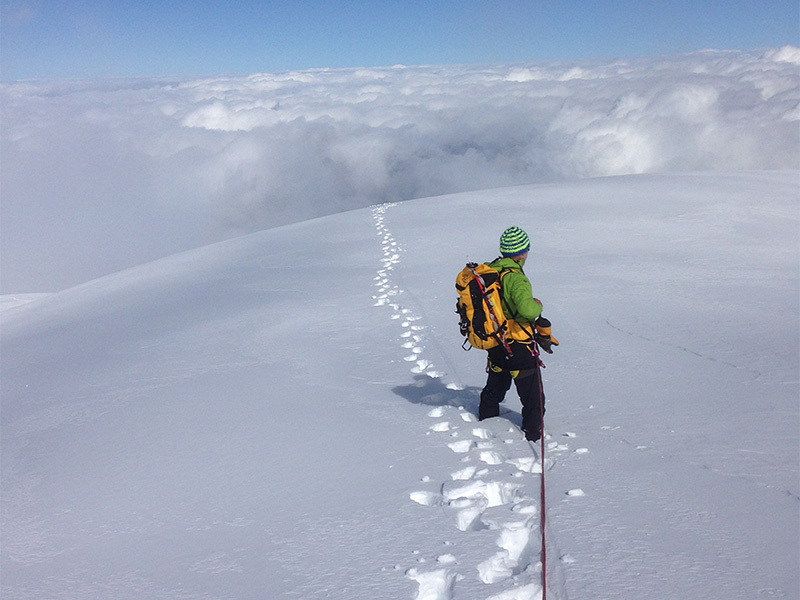 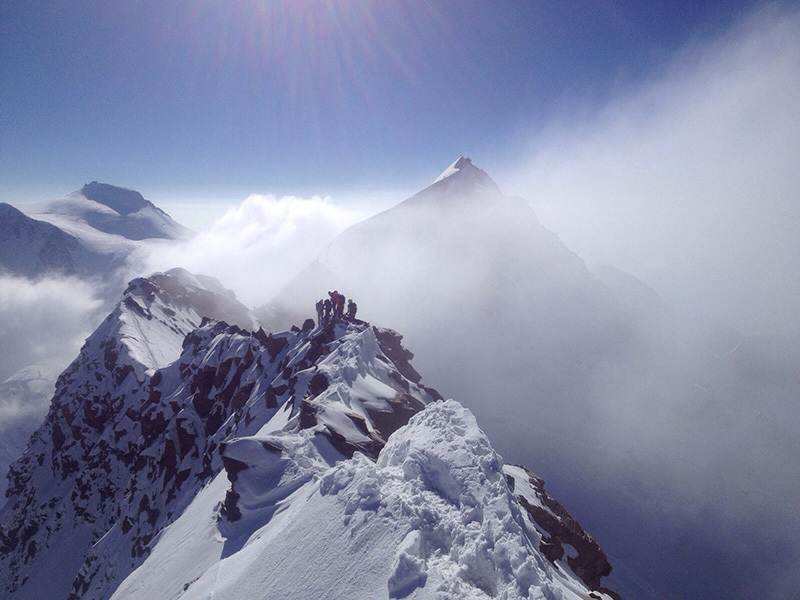 From a certain altitude you climb slowly … with the right equipment … accompanied by pros.. mountain guides who know the pitfalls about the changing weather… altitude… the difficulties along the routes. 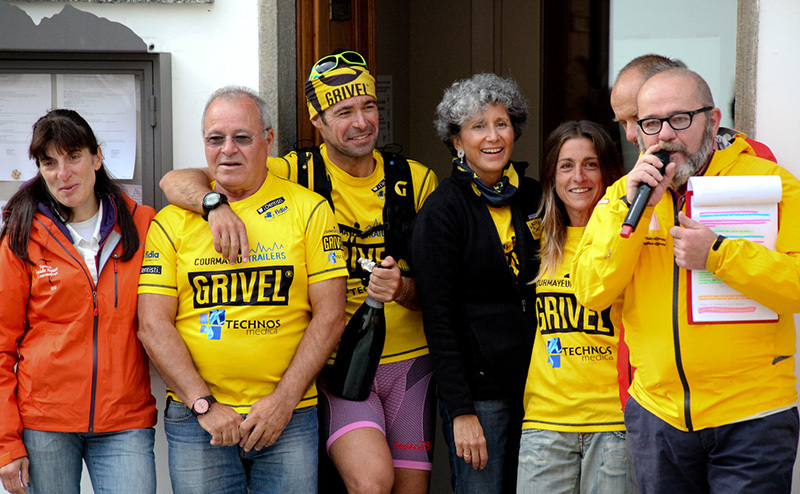 This project would not have been possible without the support of many people who believed in it. 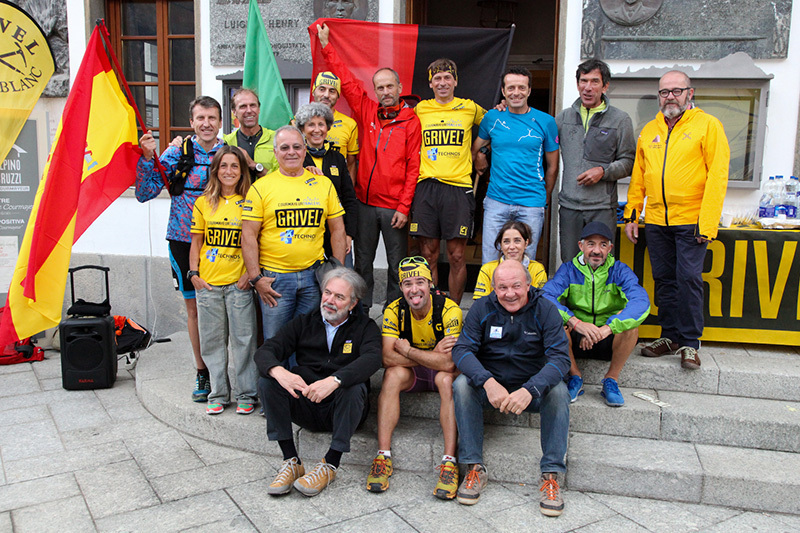 A special thanks to Maurizio Lanivi, mayor of Valpelline, the Matterhorn and Monte Rosa hut wardens, Piersandro Maggi and the Gressoney consortium, in particular Francesca from Hotel De Gletscher, Gabriele Accornero from Forte di Bard, Luisa Vuillermoz from La Fondation Grand Paradis, Alessandro Bois from the Valgrisenche town council. 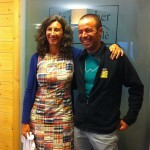 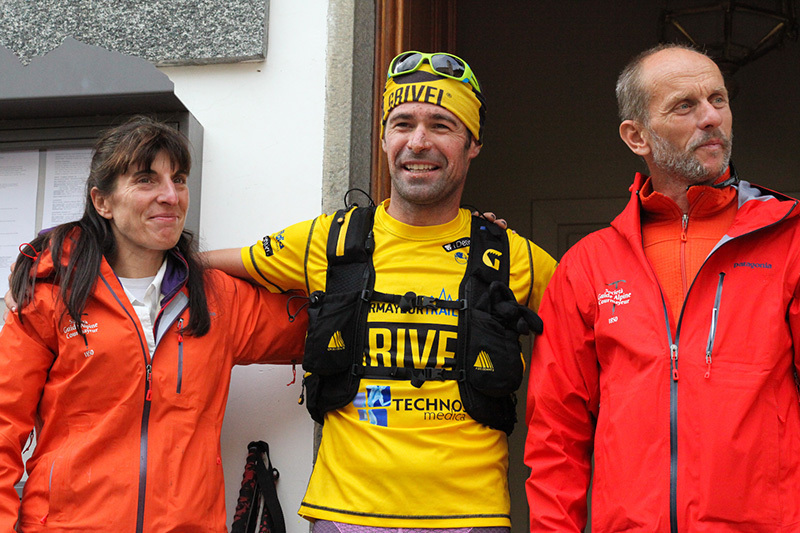 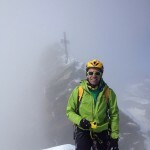 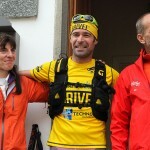 And the mountain guides: Lucio Trucco (Matterhorn), Anna Torretta and Andrea Plat (Courmayeur). 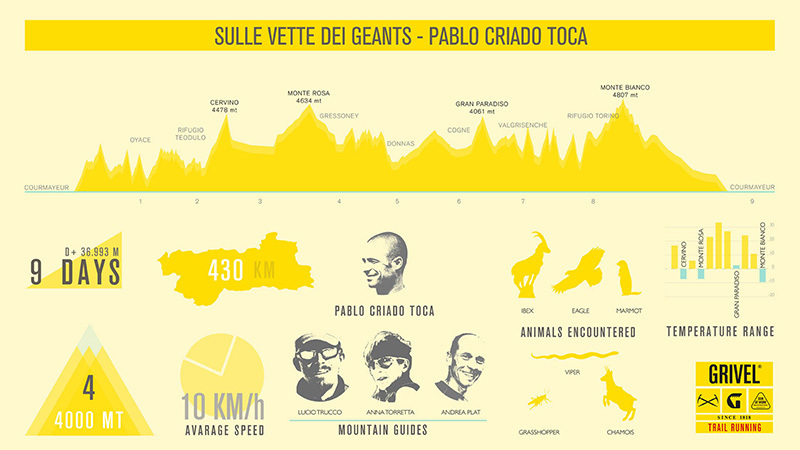 And thanks to all those who accompanied and supported Toca during this adventure… too many to mention!